You are here: Home > Blog > Flora & Fauna > Managing hedgerows. However, the 'management' of hedgerows or trimming / flailing of a hedgerow can make a significant difference to its productivity - that is, the number of flowers and fruits produced. Recent work by Dr. Joanna Staly (Centre for Ecology and Hydrology) has focused in on the management of hedgerows. 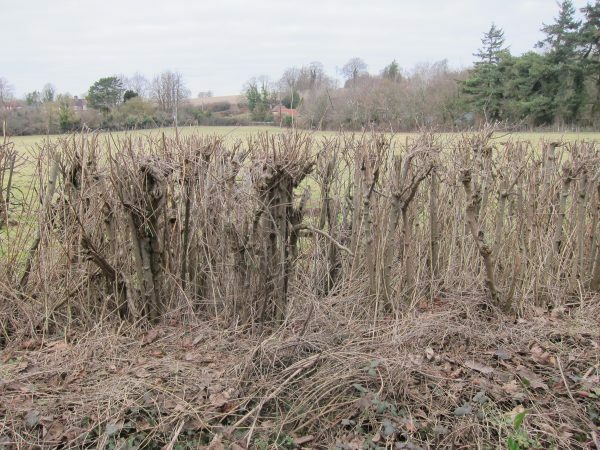 This study suggests that annual cutting of hedgerows is counter-productive. The research looked at different management regimes for hawthorn hedges in Cambridgeshire, and it would seem that a three year cycle of cutting (as compared to annual) gives twice as many flowers and three time the yield of berries / fruits (or more!). I’d be happy if they’d let the birds, and those of us who forage, have the berries before they flail the hedges. Every year it’s the same, the hedges are bulging with food for the birds for the winter, and along comes the farmer and flails the bloody lot!! If we could get all hedges cut after the fruit has been eaten, and before growth starts in the spring, we would increase by several orders of magnitude the food that is available for wildlife, and therefore increase the numbers able to survive the winter. Of course, Ron is right when he says that laying a hedge is by far the best method, but as an interim measure, lets make sure the hedges produce the maximum amount of food for the wildlife. I’m aware of the financial and time constraints that will be voiced in reaction to this comment, but in my opinion, the only proper way to manage a hedge is by laying, the way it used to be done. Hedges these days, look like a line of witches broomsticks standing on end. They have no bottom growth and usually need supporting by stock fencing to keep livestock in a field. Far better, I would have thought, to have a productive hedge that provides cover for wildlife while also providing a stock proof enclosure. Other benefits include less wire laying about as fences degrade, which is dangerous to livestock because it never gets removed; and if hedgerow species are properly selected they also provide brows for livestock in between laying every five or six years. All the fencing material you need is growing right there in the hedge and properly laid it’s a joy to behold. It’s very good to see a quantitative assessment of the advantages of a more nature friendly hedge cutting regime. One reason for annual cutting – which takes out any flowering wood – is the ease of the process, there’s not much growth and it is relatively soft so quick to flail. 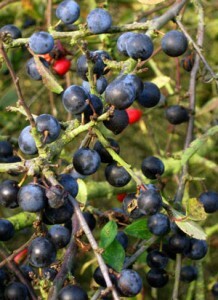 Autumn cutting directly after harvest – which takes out any berries which may have formed – is done before autumn ploughing when the ground is still hard. It does seem that grant aid through the Countryside Stewardship Scheme, to pay for the agricultually less efficient regime, is still the best way to get flowers and berries on hedges.